We are a local society, formed in 1948 to explore and promote the remarkable history of the town and to keep an eye on new developments. The Chepstow Society has published many books and pamphlets, and was instrumental in placing the pavement and wall plaques around the town. 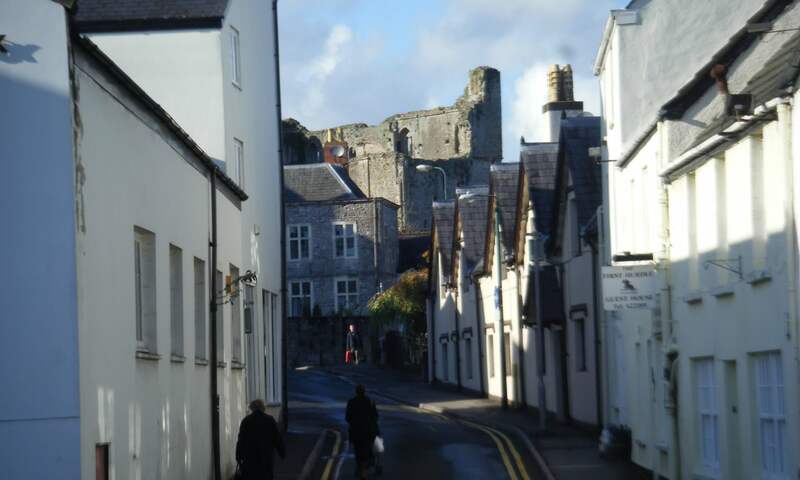 We meet on the third Wednesday of each month (except August and December) in the Drill Hall in Chepstow, to hear a talk of local interest and hear about developments in the town and surrounding area. We also organise tours and excursions for members. Please look through this website to see what is in store – maybe we’ll meet you in the Drill Hall? To advance education by the study of local and natural history in the town and hinterland of Chepstow. To encourage the preservation, development and improvement of the features of general public amenity or historical interest. To stimulate public interest in, and care for, the beauty, history and character of the area and stimulate cultural activities therein. The Chepstow Society is organised by a small and (usually!) friendly committee. We are always looking for people to provide new input to that group. In particular, we would welcome members who can contribute on environmental matters; or help to design publicity material; or help involve younger residents in our activities; or who can help our hard-pressed Treasurer. Local residents who are members of the Society, or would be happy to think about joining to help us contribute to our core objectives, are urged to contact the Society through this website, or the Society’s Facebook page.